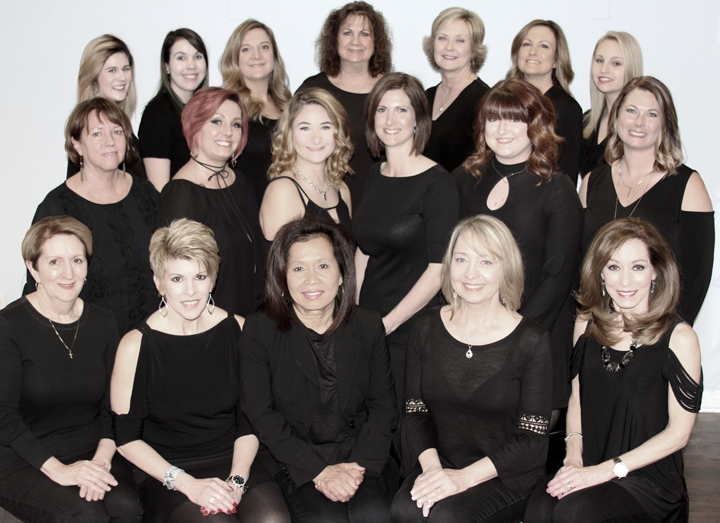 Centered in the heart of Peachtree City, Salon 54 is proud to be one of the few original hair salons in Fayette County. Established in 1997, many of the first guests to grace our doorstep still remain our clients and friends today. Although we continue to evolve as a salon, the same values and integrity build the backbone of our organization and allow us to grow and reach beyond the limits in our minds. Through continuing education and intensive advanced training we stay current with modern techniques that give our clients the best possible service and outcome they desire. Our stylists are committed to providing each guest a complimentary consultation to understand their needs and goals, a relaxing shampoo experience, and education on the products necessary to replicate their customized look at home. Our talented and diverse team will ensure a positive, professional experience and a warm welcoming environment. Salon 54 offers talented stylists, extensive services, a referral program, and promotions on products. Check out this awesome before and after by Catherine!